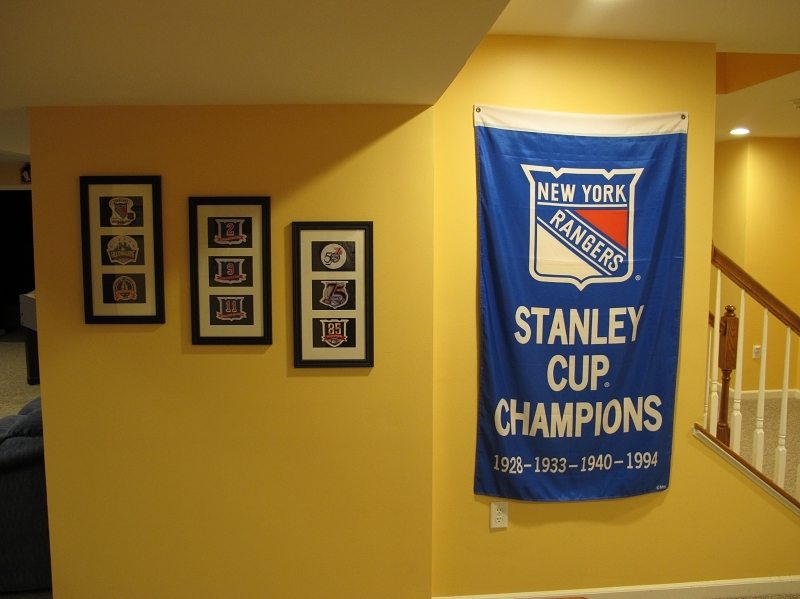 Below is my collection of Hockey Jerseys. 41 in Total. 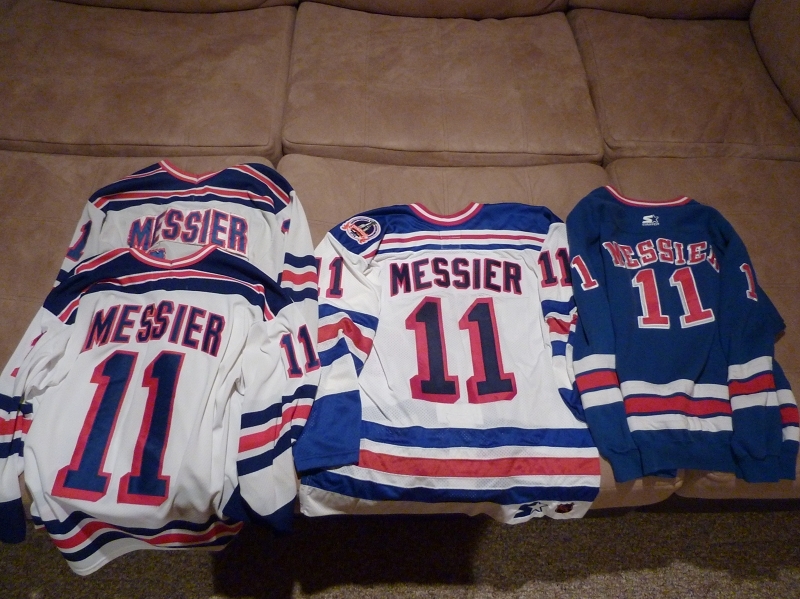 Here are my Messier Jerseys. The top left one is really beat up. 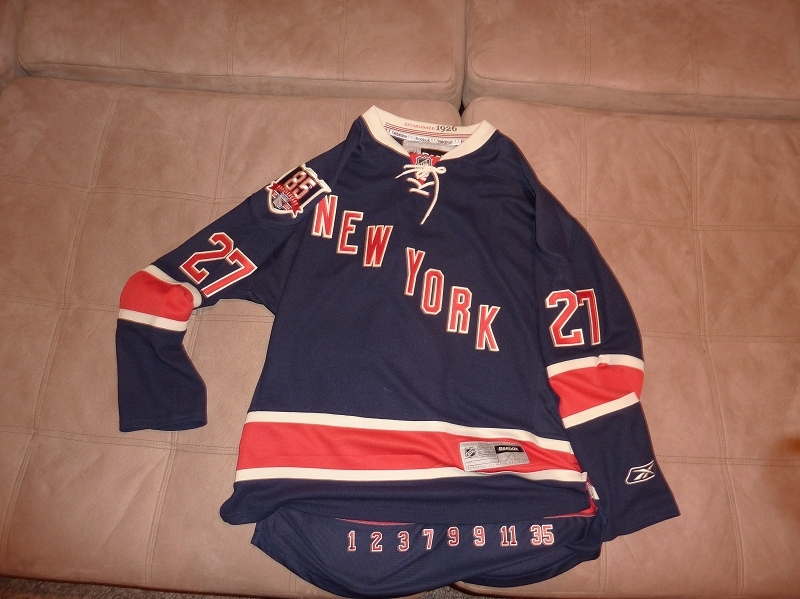 Its my very first jersey and I wore it all the time including when I played hockey. Since I beat it up so bad, I got a replacement just below it and took care of that one. The blue jerseys is actually a sweat shirt with the letter stitched on. Never seen another one like it. 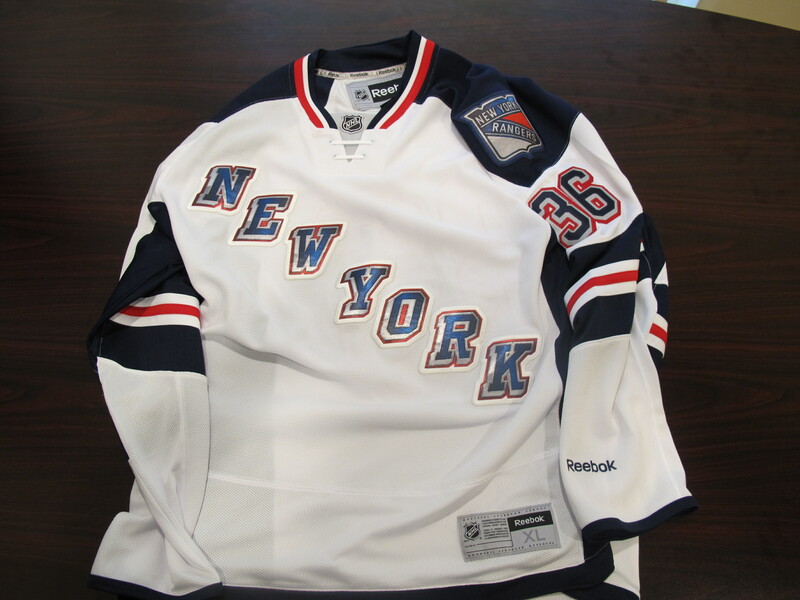 The middle jersey is an Authentic Starter jersey with the 1994 Stanley Cup patch. 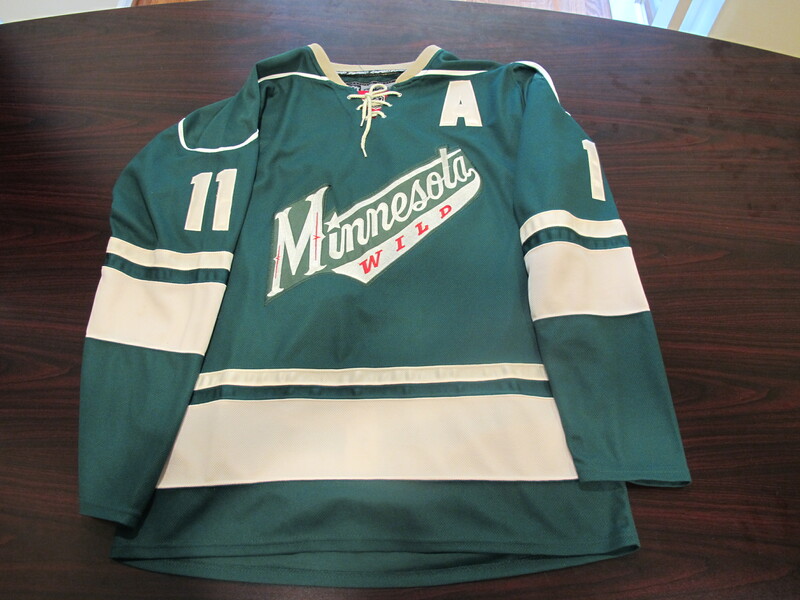 This jersey was actually made for the production of the Mystery Alaska movie. 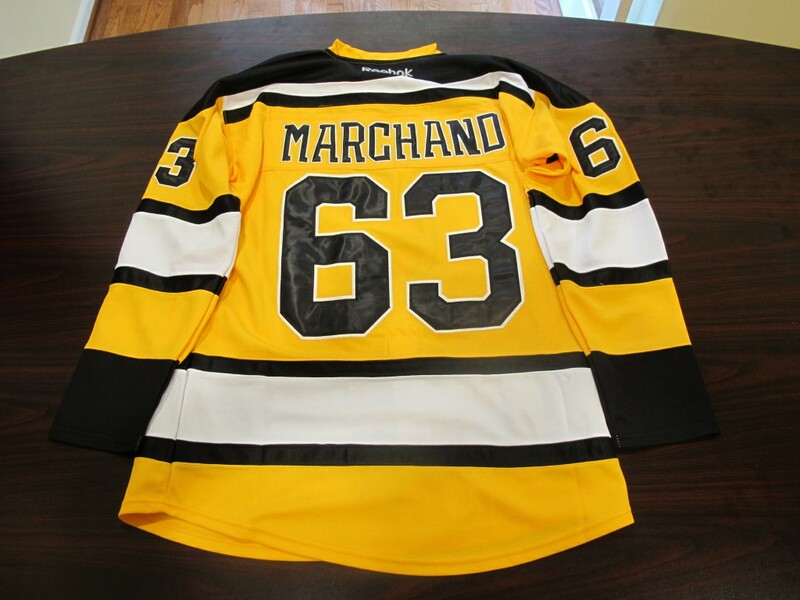 Not that I really cared about that aspect, I was just excited to get a $350 jersey for under $100. 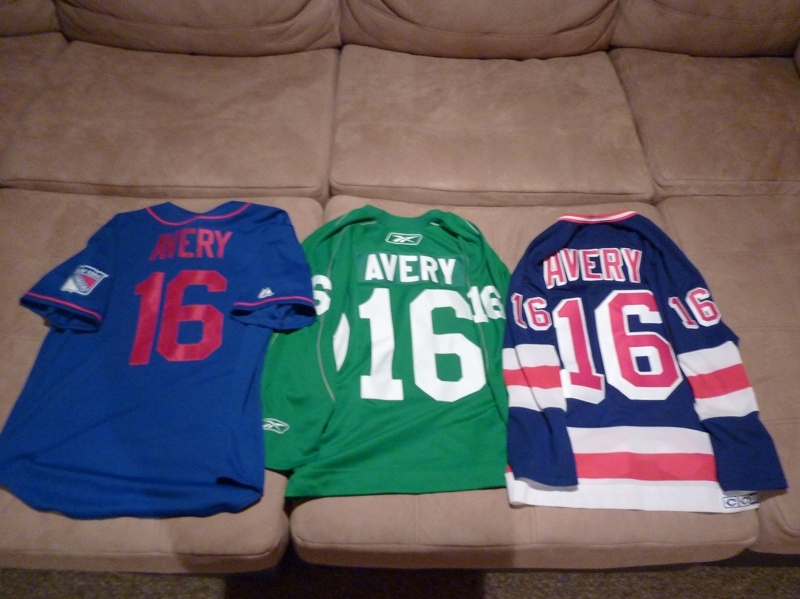 My collection of Avery Jerseys! The left one is actually a baseball style jersey that Jenn got me with Avery lettered on it. The middle jersey I searched the ends of earth, and Jenn was somehow able to find it and get it letter for me. 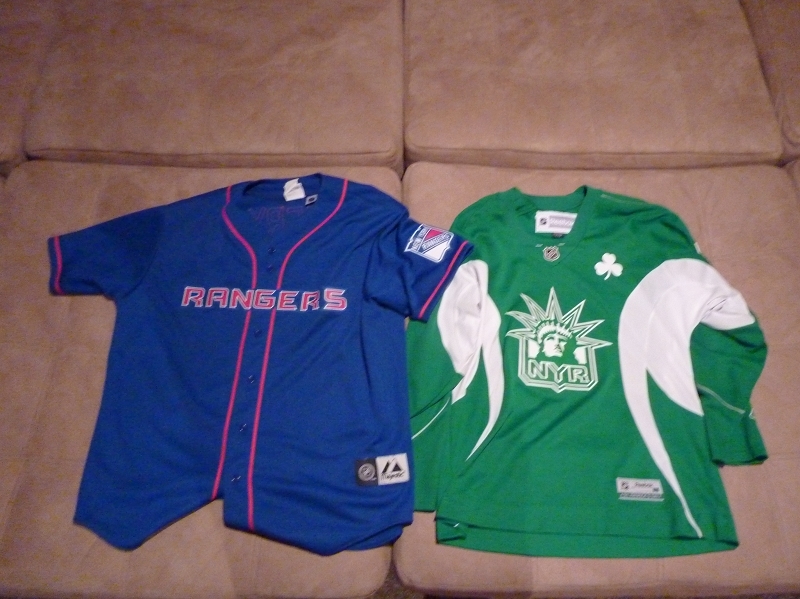 Its a special St. Patricks Day Rangers jersey with Shamrock on the front. I have a good collection of Irish Rangers stuff. One of my favorite. 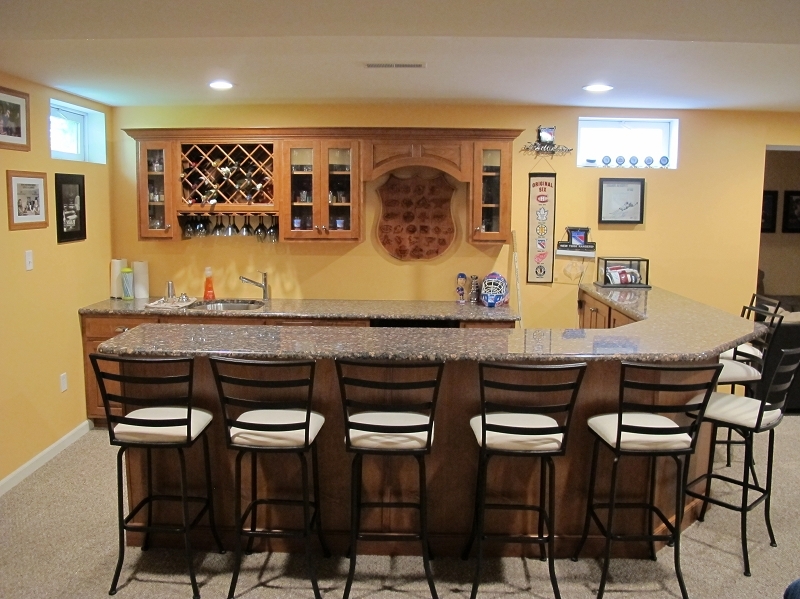 Then I also have a Home and Heritage Avery. 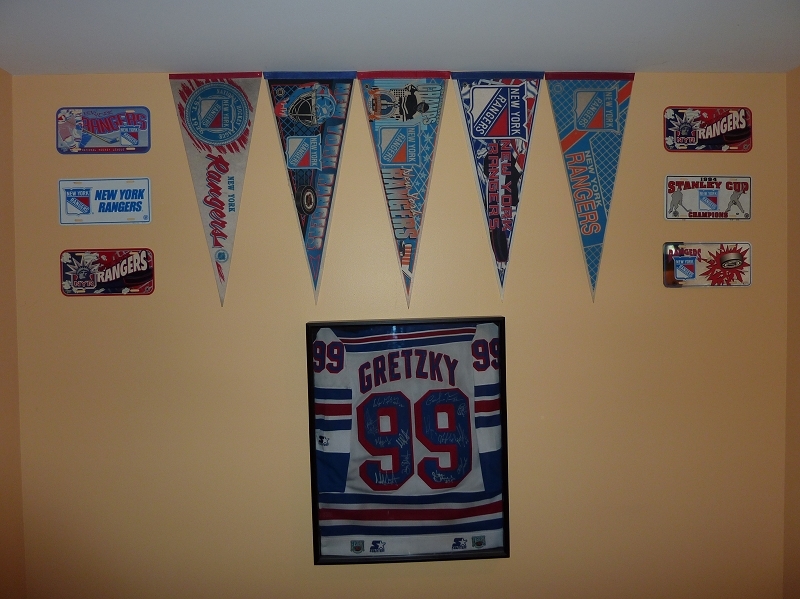 I have 4 Gretzky Jerseys. The blue one is my 2nd jersey that I got. 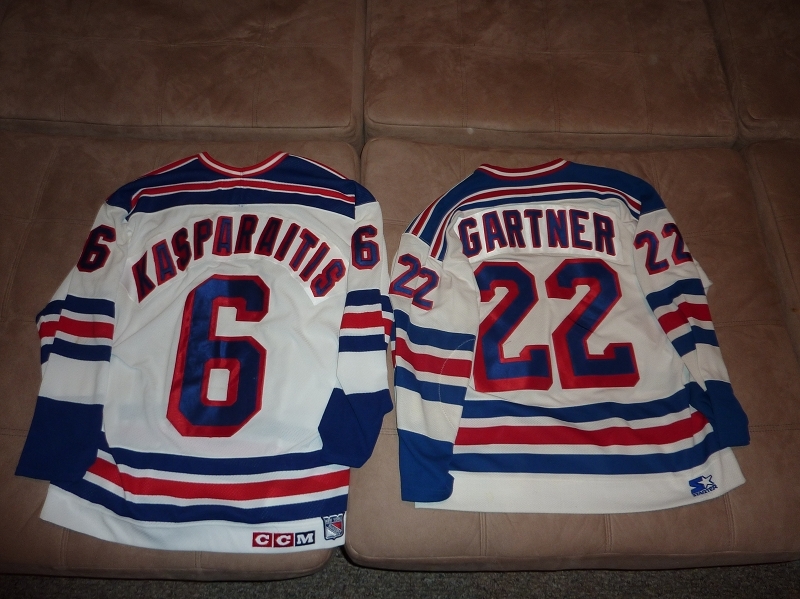 The right one is also an Authentic Starter jersey. 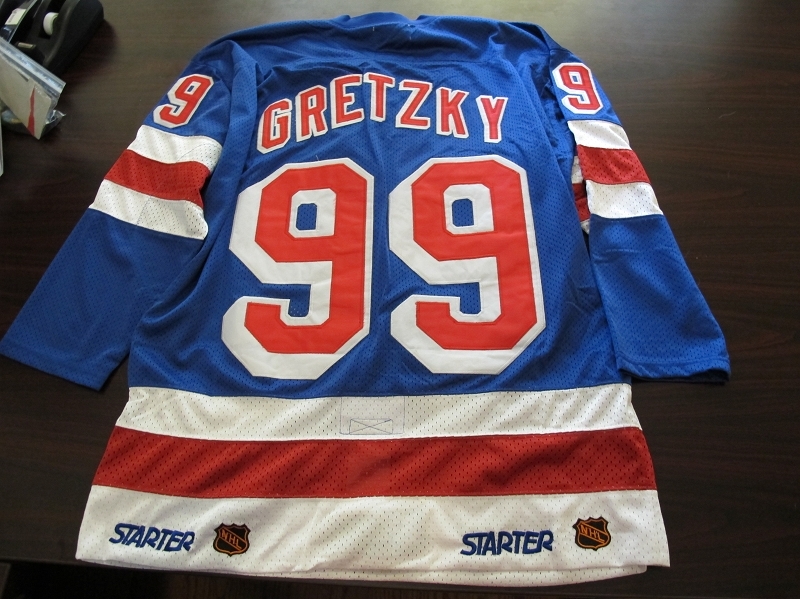 The picture below this one is an Authentic Blue Gretzky jersey. 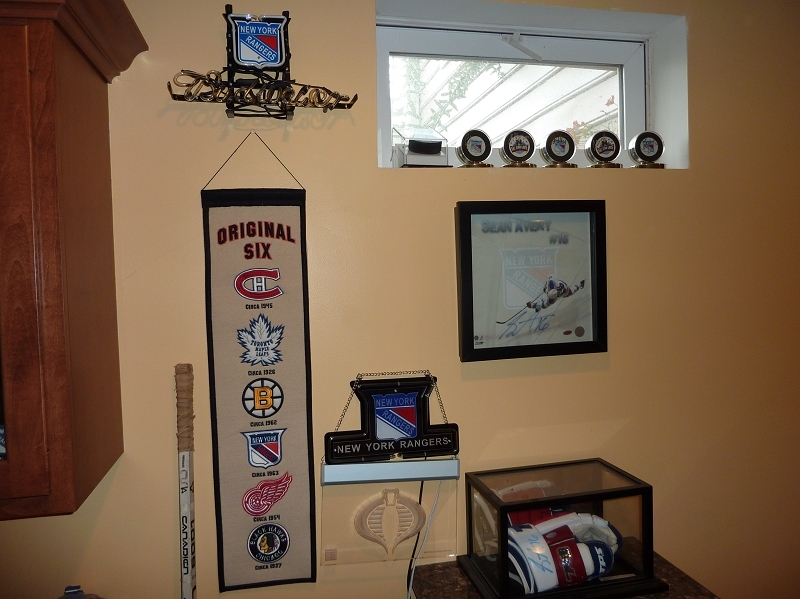 And below that is a jersey that I have framed with many Autographs. 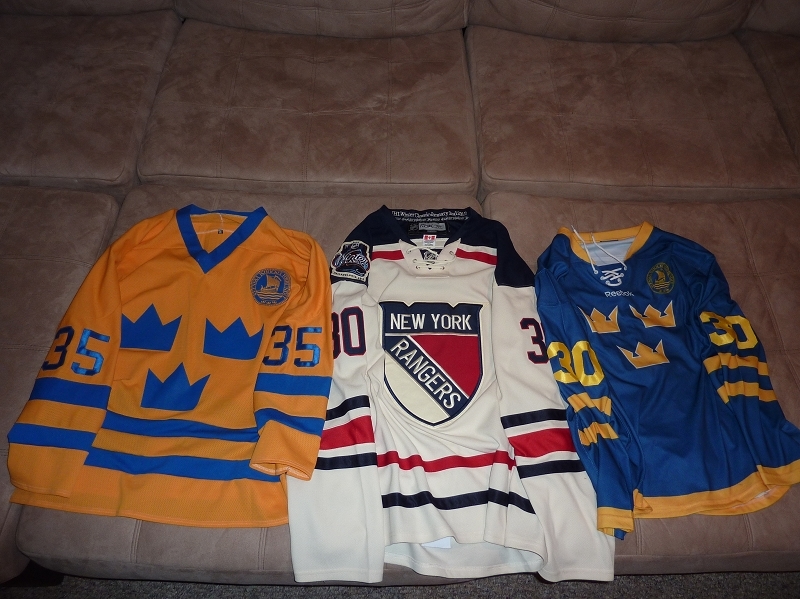 My Lundqvist Collection! 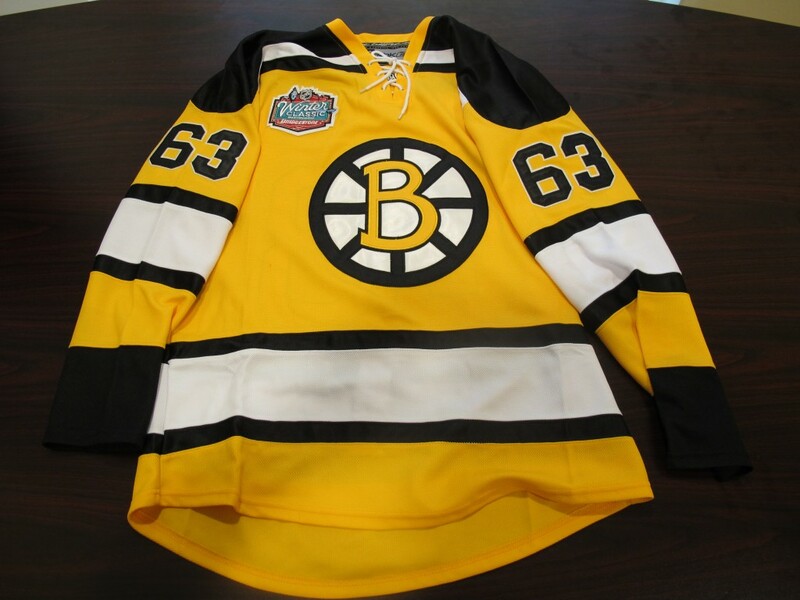 The middle jersey is a Winter Classic Authentic jersey. 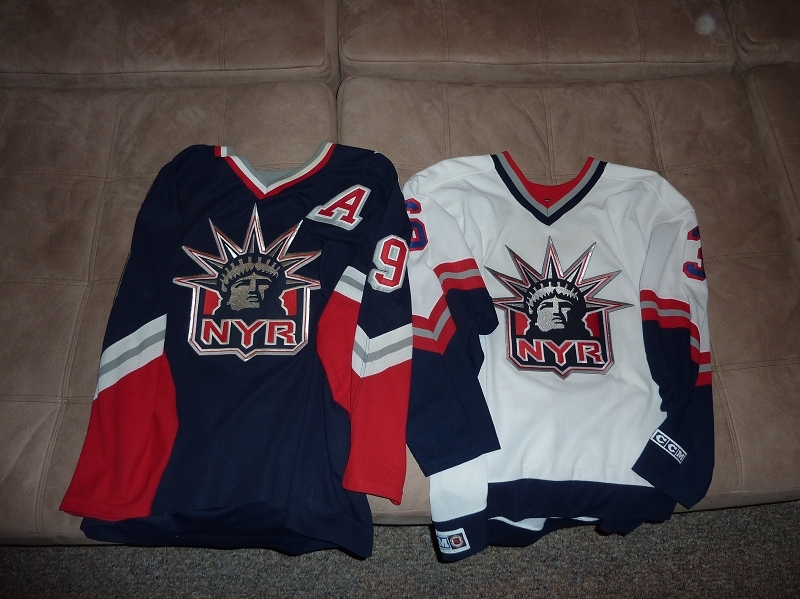 The jersey on the left is modeled after the one Lundqvist wore when he won Olympic Gold. 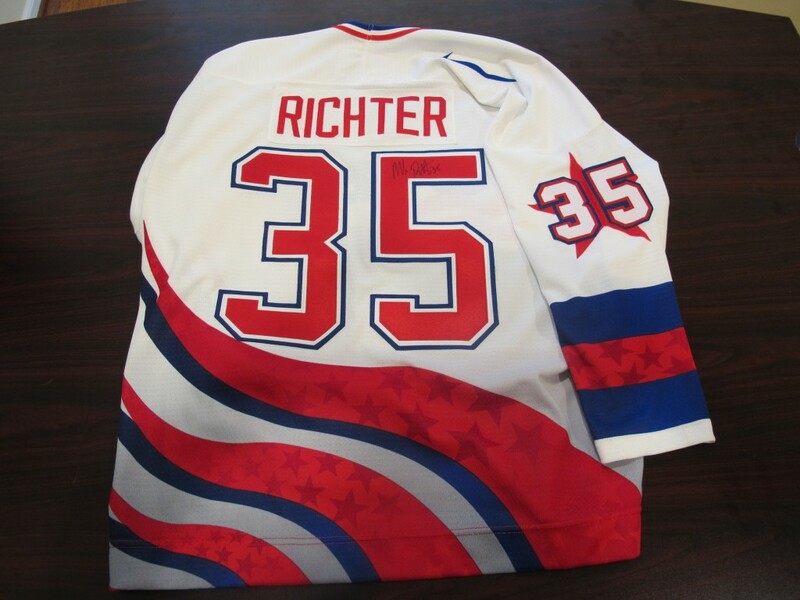 At the time, he wore 35, but it was retired in NY because of Richter. 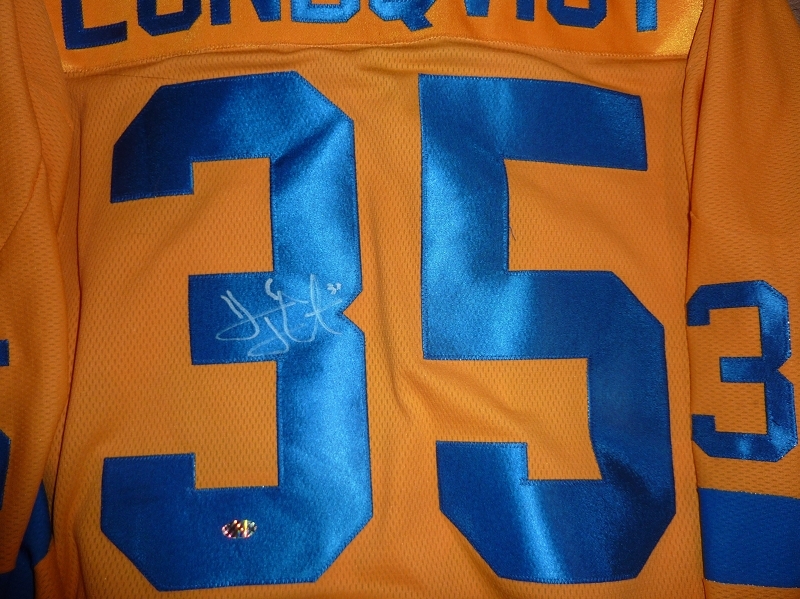 It is also a Steiner Autographed jersey. In the next Olympics he wore 30, and I got a blue version of that. 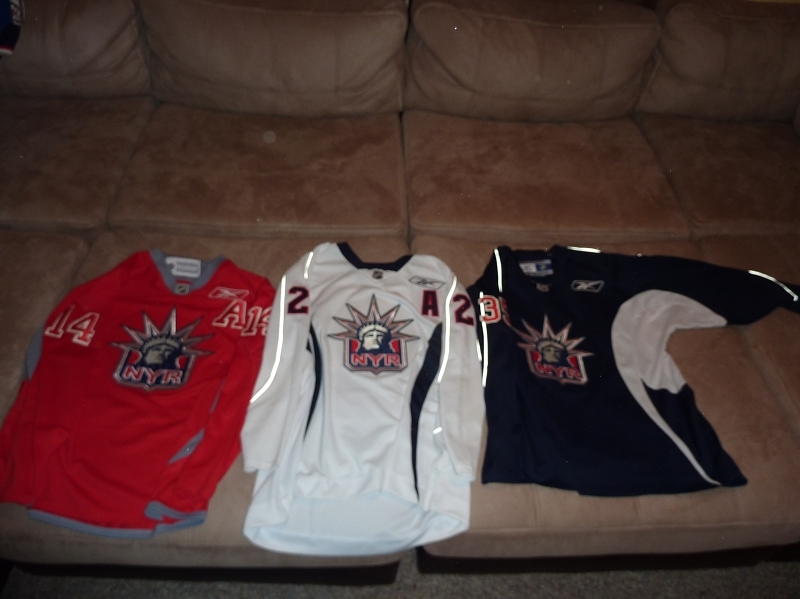 These are my Liberty jerseys. 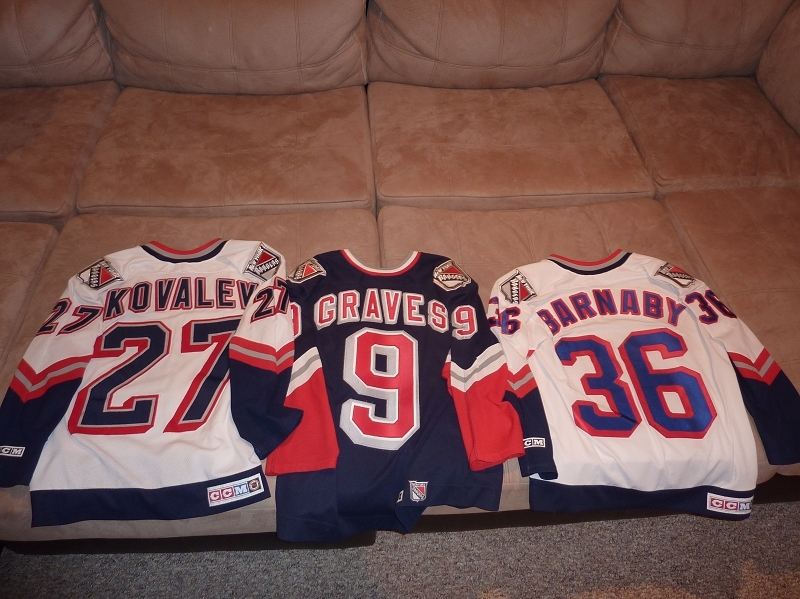 At the time I got my Kovalev jersey there was a rule that you could only get jerseys lettered with players on the active roster. There was a rumor that he was going to be traded any day, so I rushed to the store to get Kovalev put on because he is one of my all time favorite players. Because of Esa Tikkanen, I fell in love with agitators, and Barnaby was one of the best! 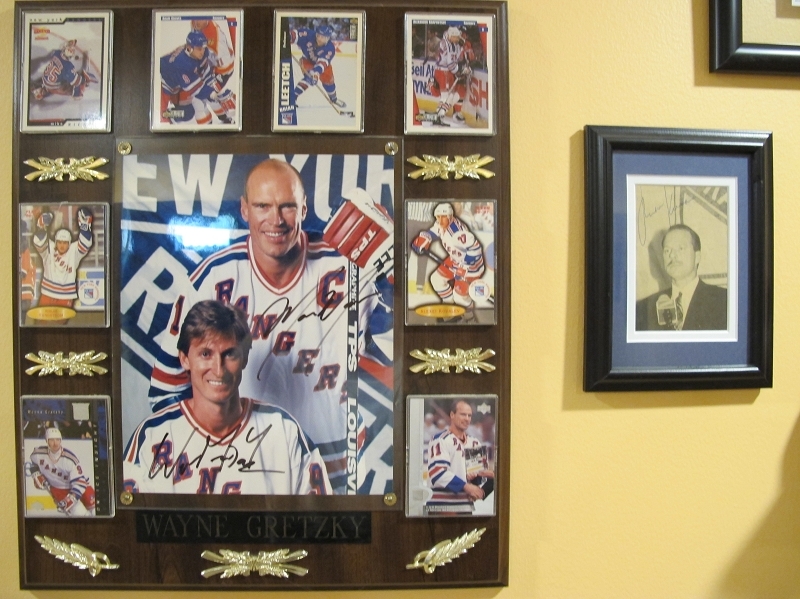 And Adam Graves is the classiest Ranger ever. 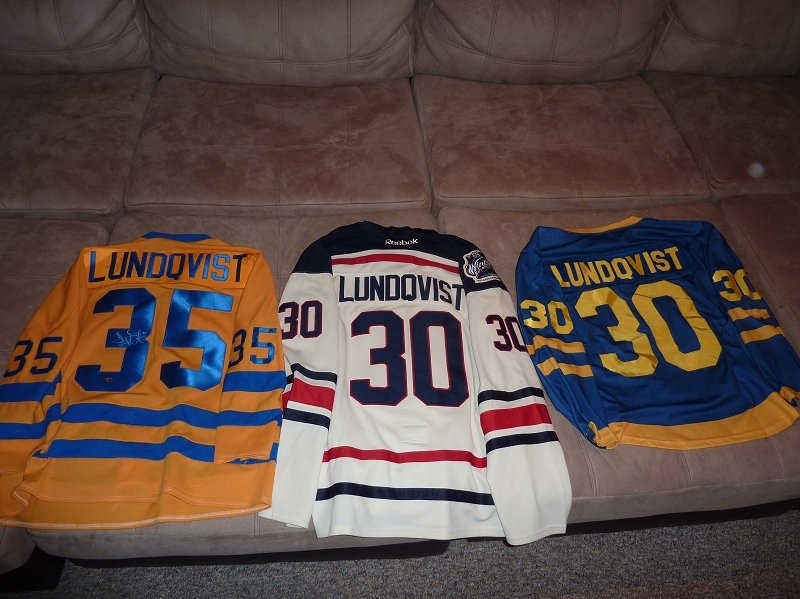 The last jersey is my newest and maybe my favorite. Its an Authentic Liberty Beukeboom. 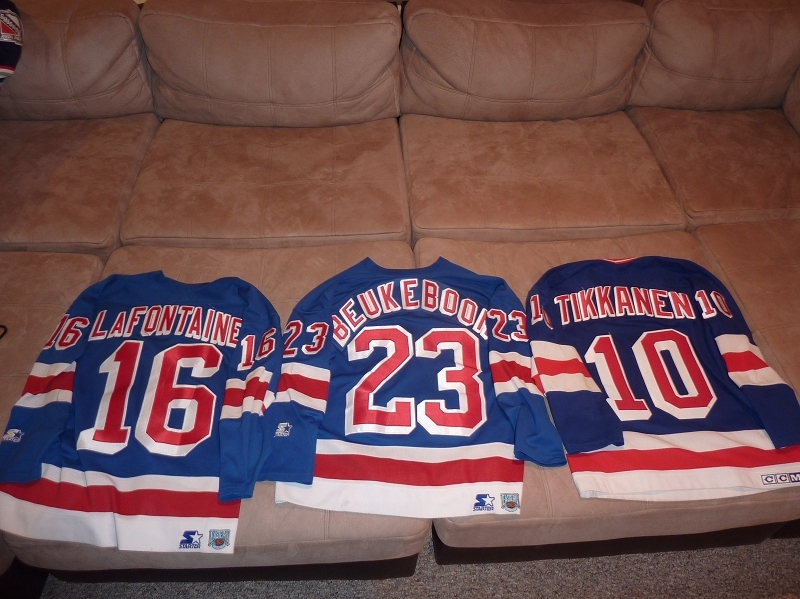 I believe LaFontaine was my 3rd jersey. 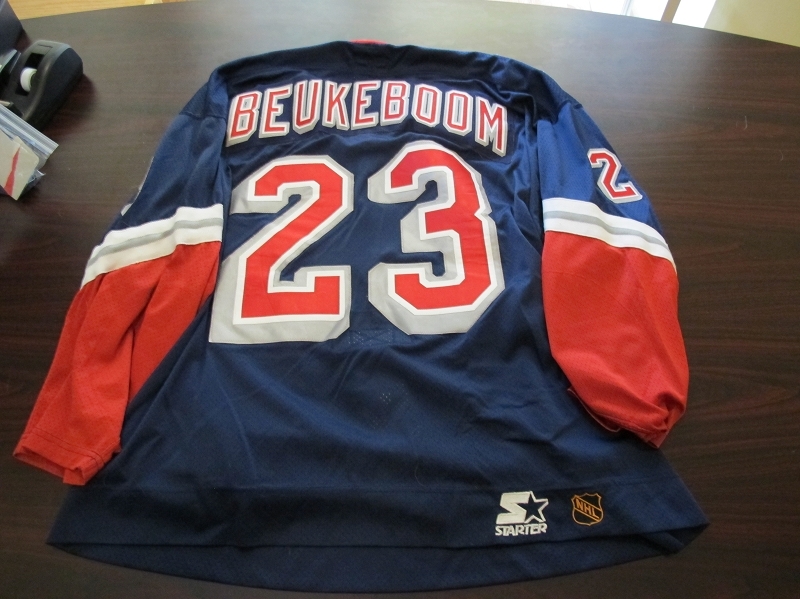 Beukeboom is my all time favorite defenseman. 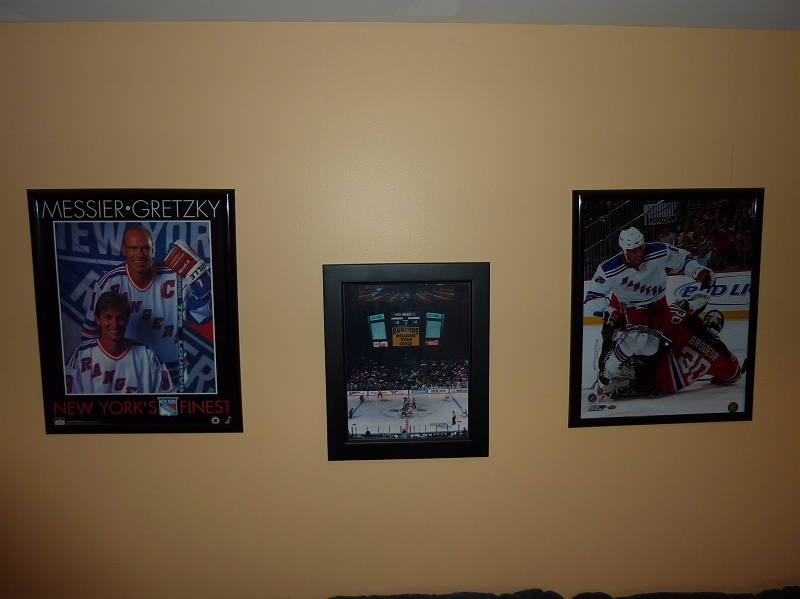 And Tikkanen was the man! 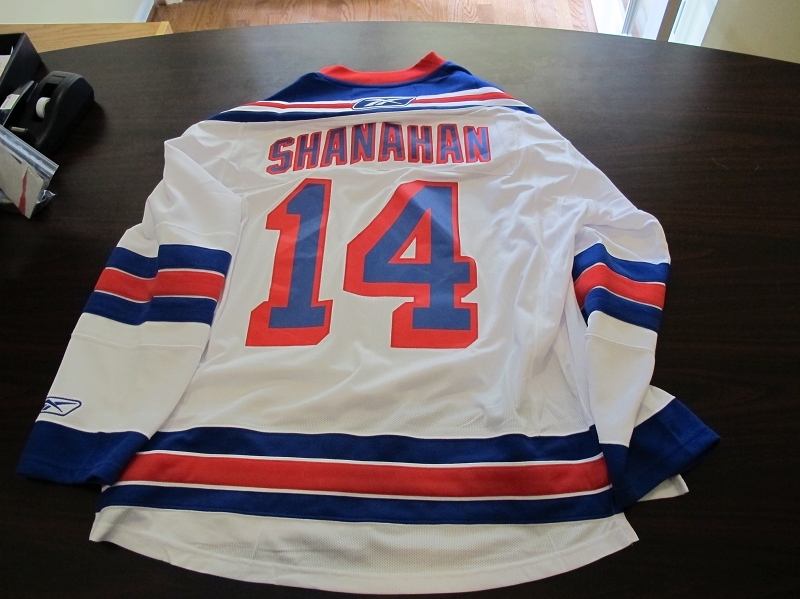 Replica Winter Classic Callahan Jersey. 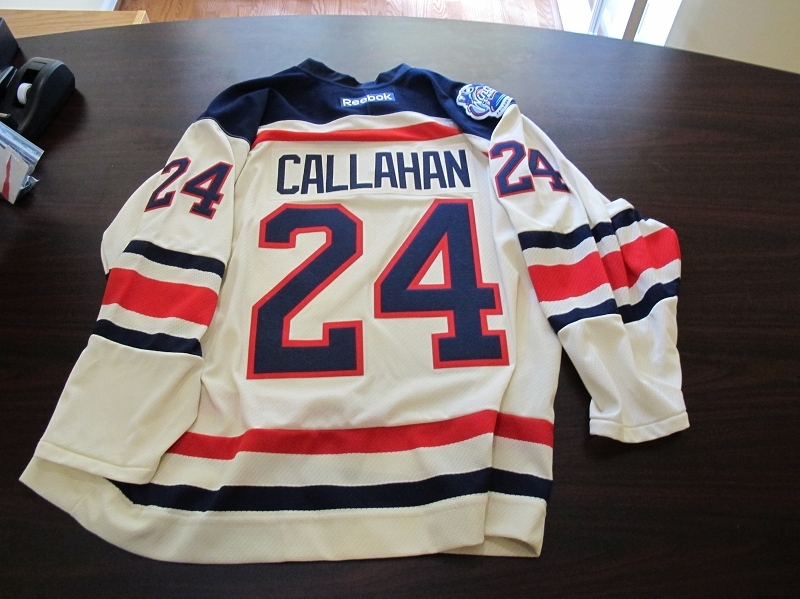 Callahan was to be my first Winter Classic jersey, but after the way Lundqvist played, I got his first. These are my practice jerseys. 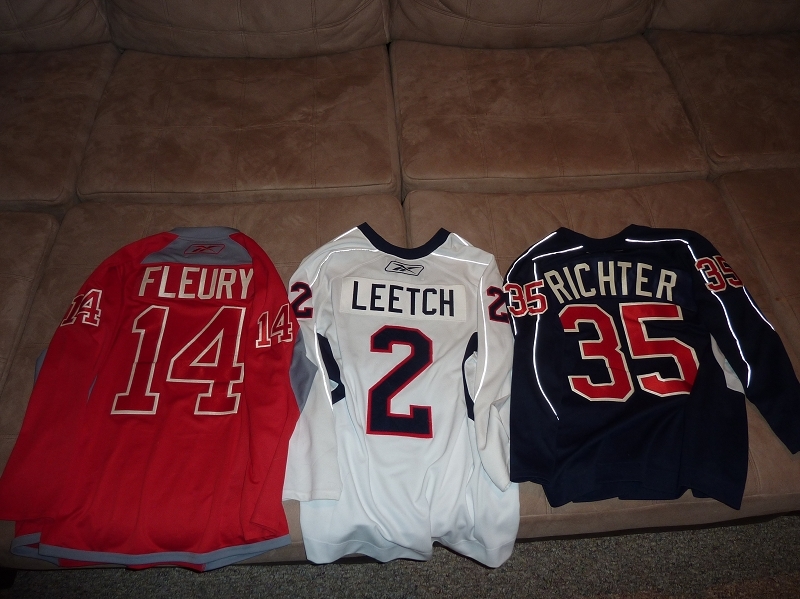 I felt guilty for not owning a Richter and Leetch jersey, so I had to get those done. Hard not to love Fleury, and in honor of his cup with the Flames, I put his name on the Red version. 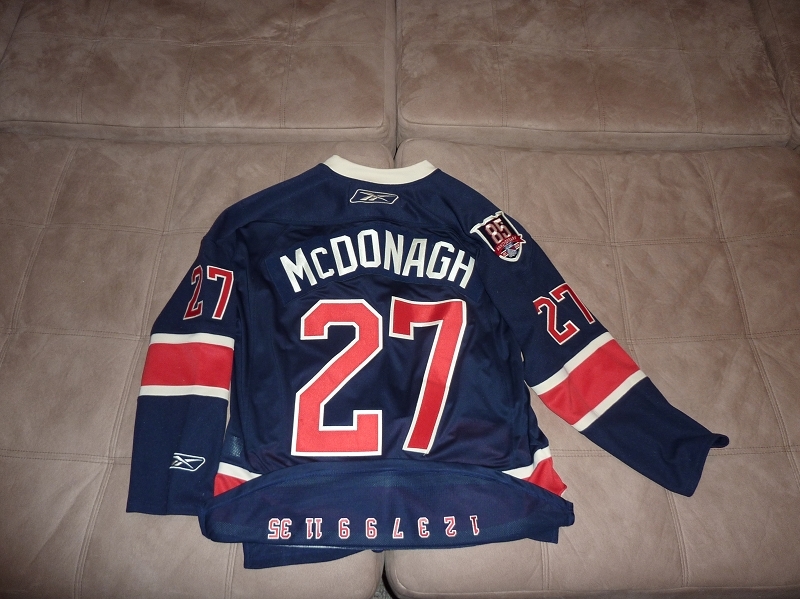 McDonagh is currently my favorite player. 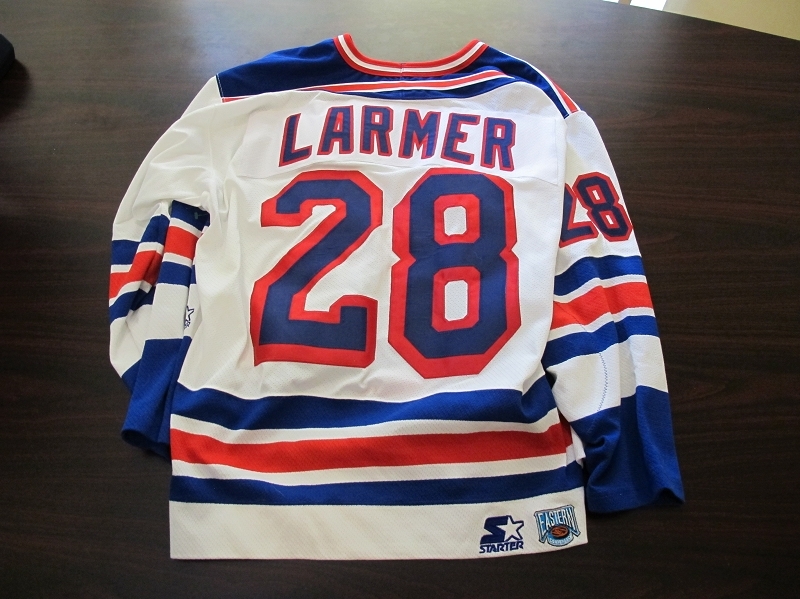 This heritage jersey is extra special because it has all the retired numbers of Ranger players sewn in the back. 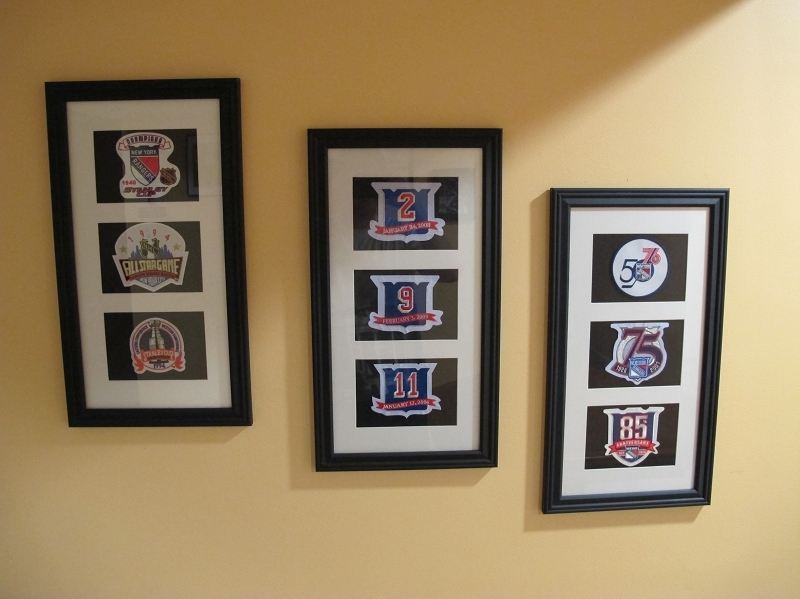 It also has the 85th Anniversary patch. Rather than Rangers in the front, it says New York. 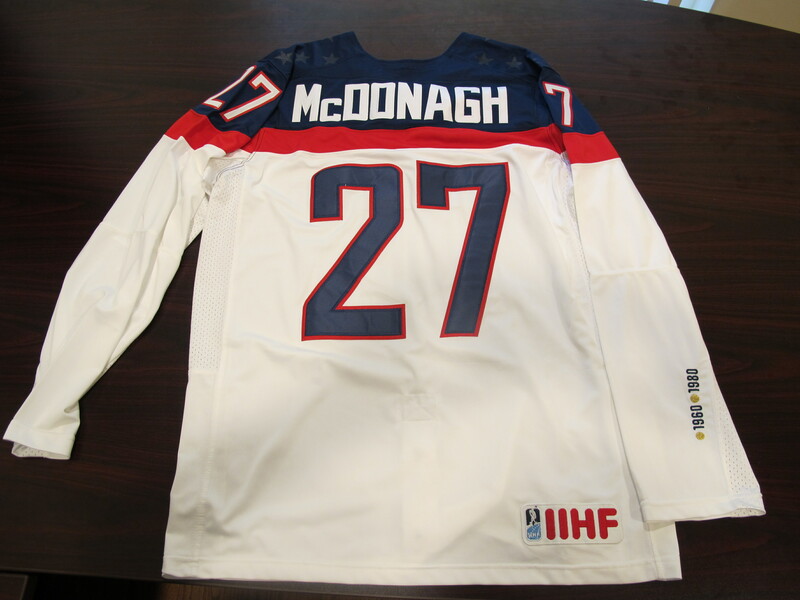 This is my 2014 Olympic McDonagh Jersey. 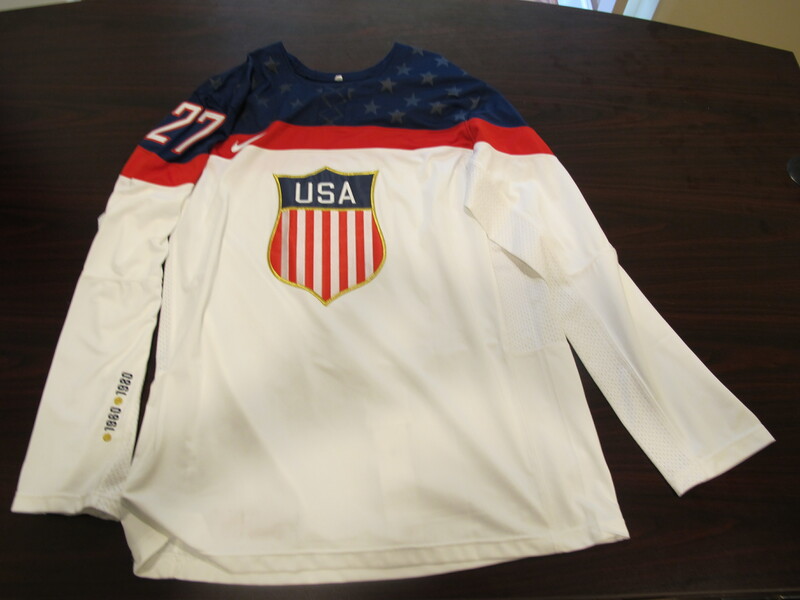 I love the material and the Gold Medal stitching on the arm! Jenn and I went to the Rangers vs Devils Stadium Series game at Yankee Stadium. Not in love with these jerseys, but I am a collector! Before the game I said I wanted to get Zucc, but I wanted to wait and see if any player came out a hero in it. 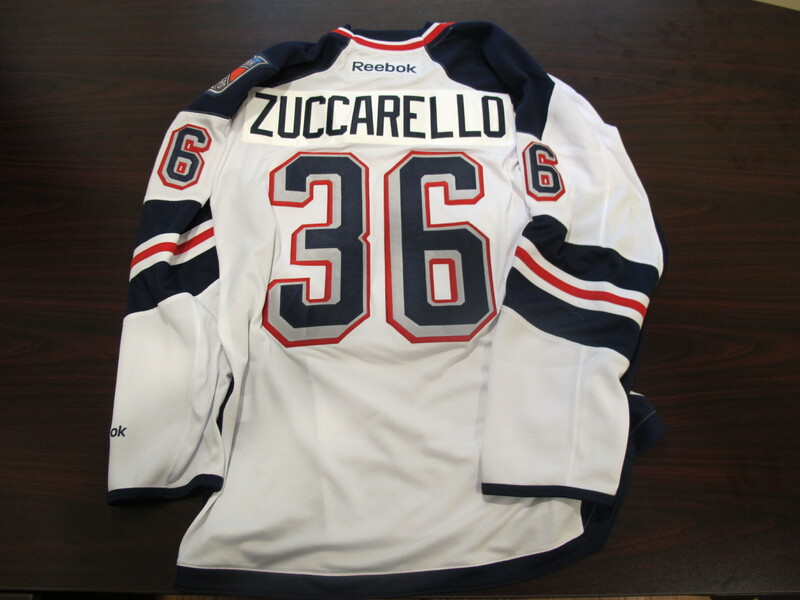 And Zucc had the best game of anyone and solidified my choice. Jenn got me this for fathers day! This is a jersey I have wanted for forever! They are very rare and hard to come buy. 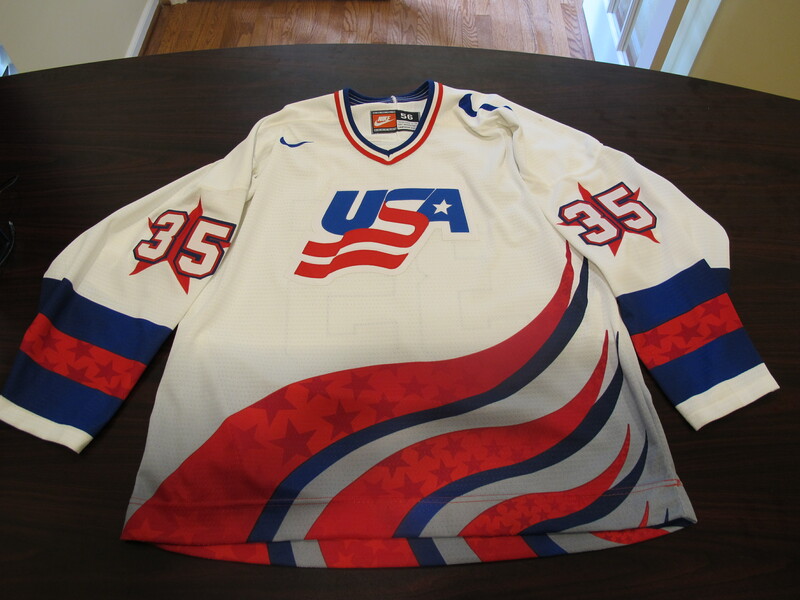 Off all the USA World Cup and Olympic jerseys, I always loved this one the most. This is from the Gold Medal 1996 World Cup team. I wanted Richter because he played OUT OF HIS MIND! This was also the most talented US team to ever exist. 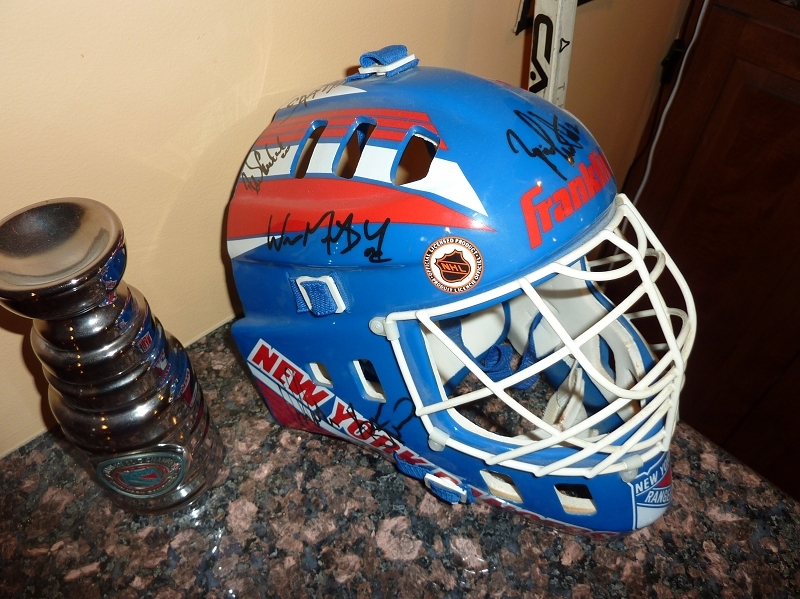 It also doesnt hurt that Richter signed it! 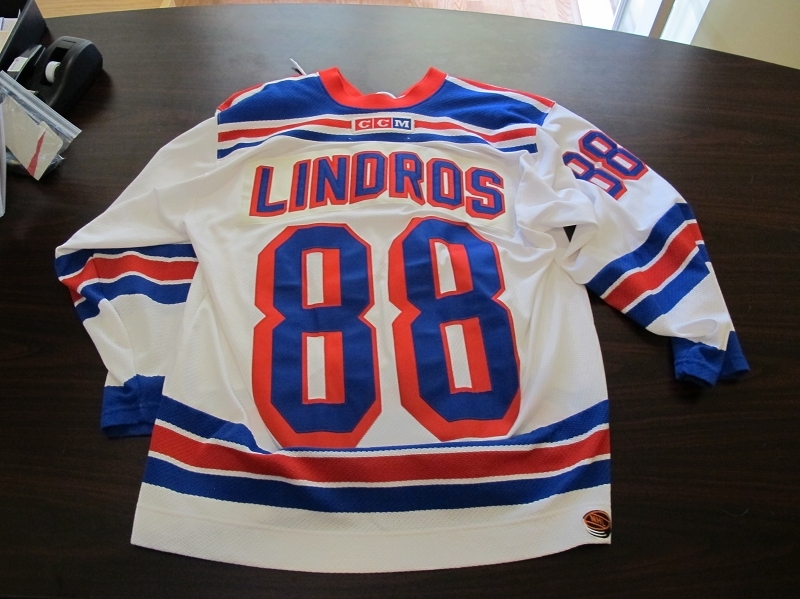 My last Rangers Jersey is not lettered. I doubt you can find a kit for it. 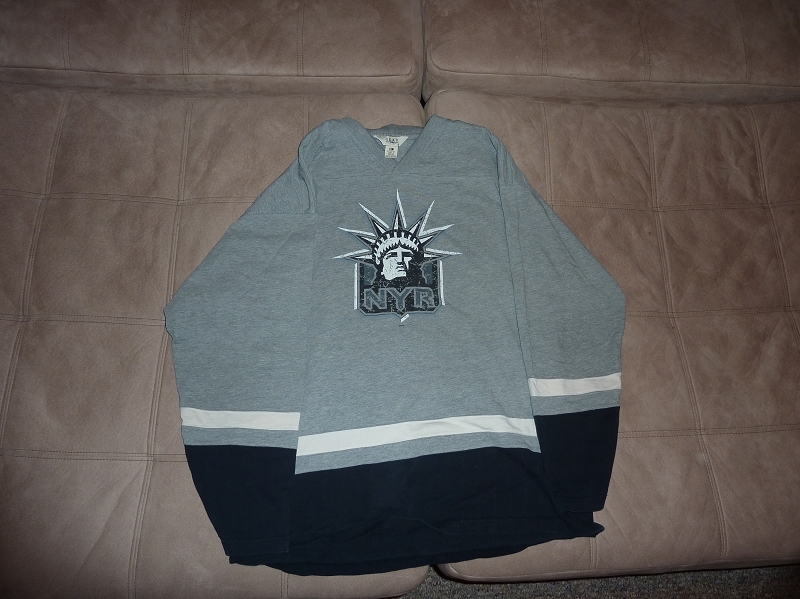 Its a Stone looking version of the Liberty jersey. 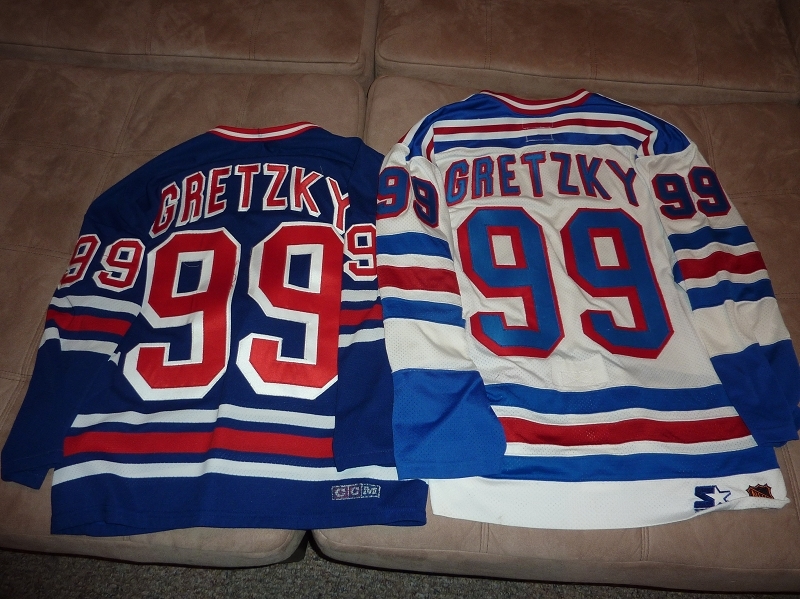 These are my Non-Rangers Jerseys. 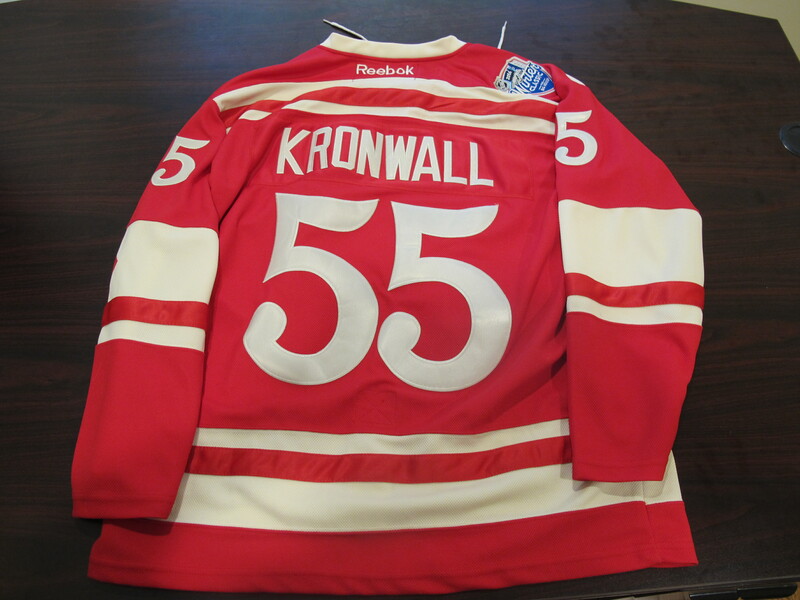 Starting off with my Winter Classic Kronwall jersey. 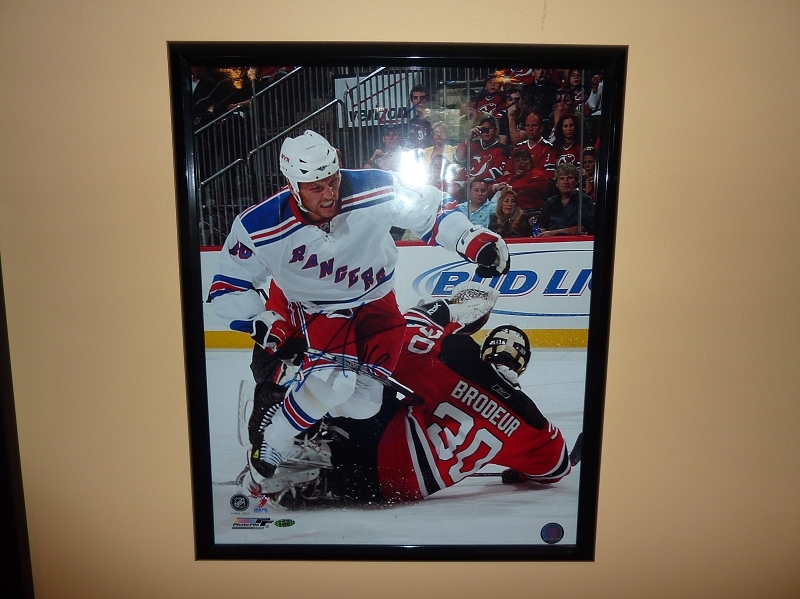 Kronwall is one of my favorite players not on the Rangers. I saw this jersey at the NHL store in NY City and fell in love with it. 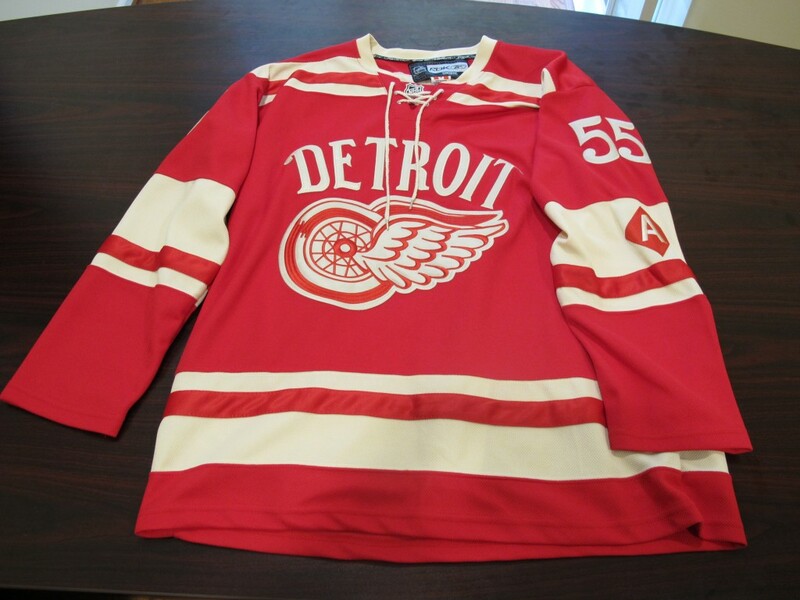 I love the off white coloring, the font on Detroit and the numbers, and that the Captain and Alternate Captain logos are on the arms. Had to have one! 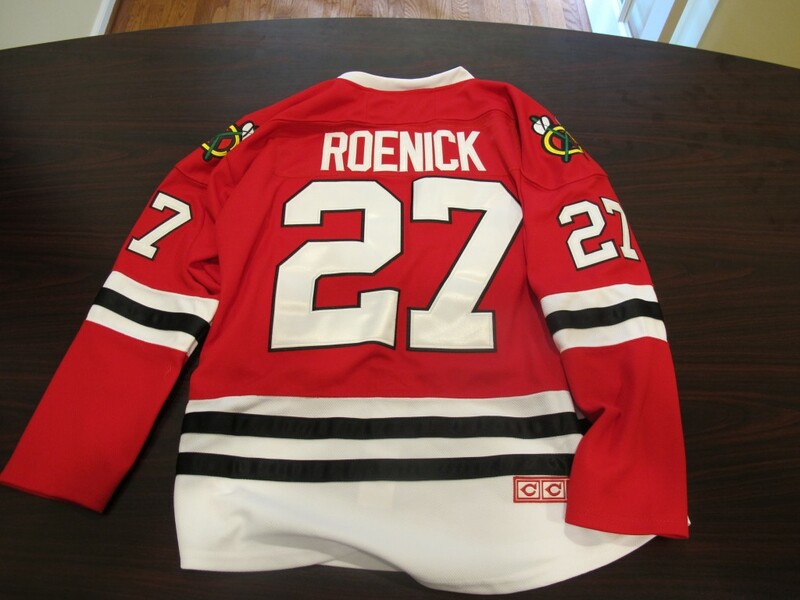 Next are my Blackhawk Jerseys. I always loved the red Hawks Jersey. Also love Roenick. 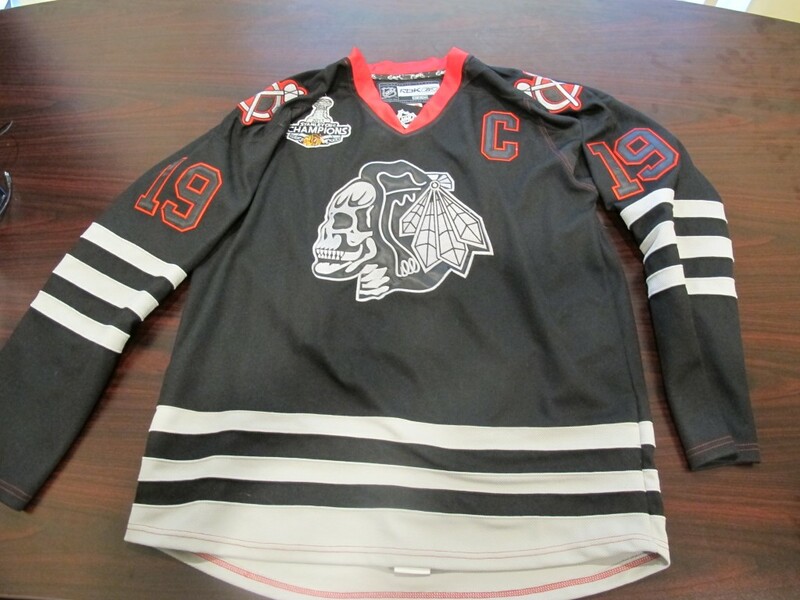 I also saw the black “Skull” hawks jersey and realized I had to have one. There is no one on the current Hawks team that I love. Kane is amazing, but a douche in real life. 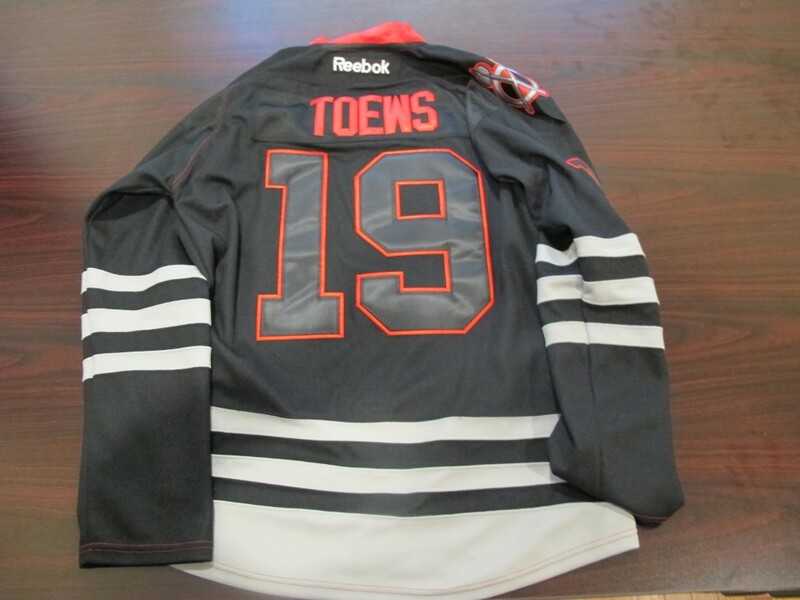 I went with Toews because I have more respect for him than probably anyone in the NHL. I don’t really care for Minnesota or any of their players. I like Granlund, but his wasn’t available. 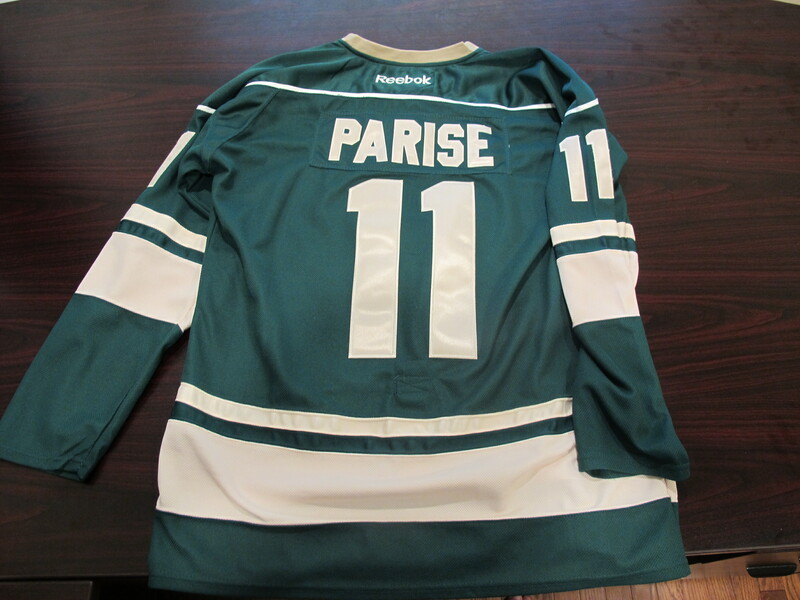 But I love the style of this oldschool jersey so I decided to get it in Parise. 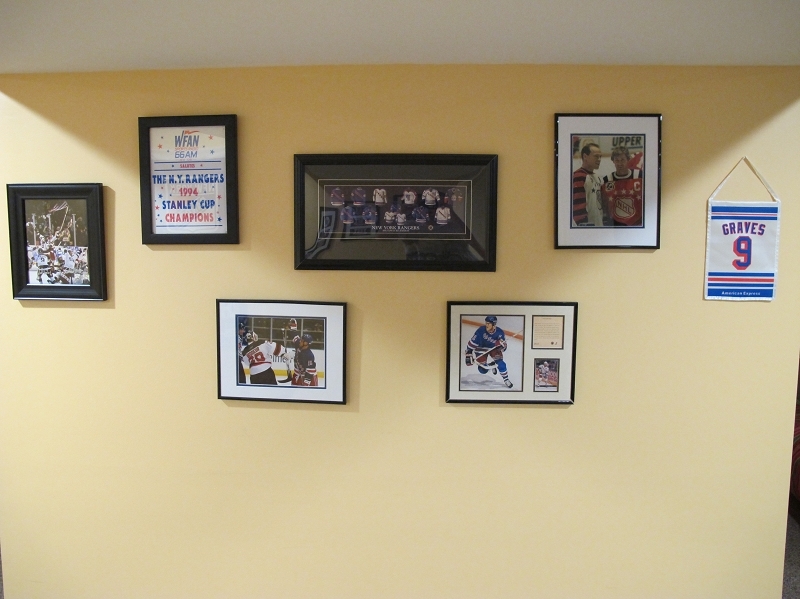 Some pictures around my basement. 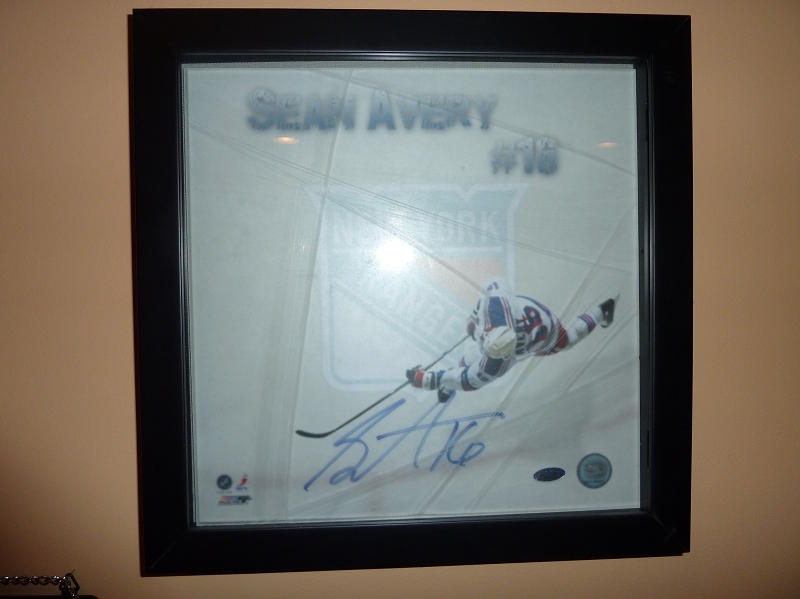 This is a bit of a shrine to Sean Avery. That suit jacket you see there was part of his wardrobe. I think it was a $2,000 suit that I won on ebay that he donated to charity. Has his name is sewn in the jacket and pants(not shown). 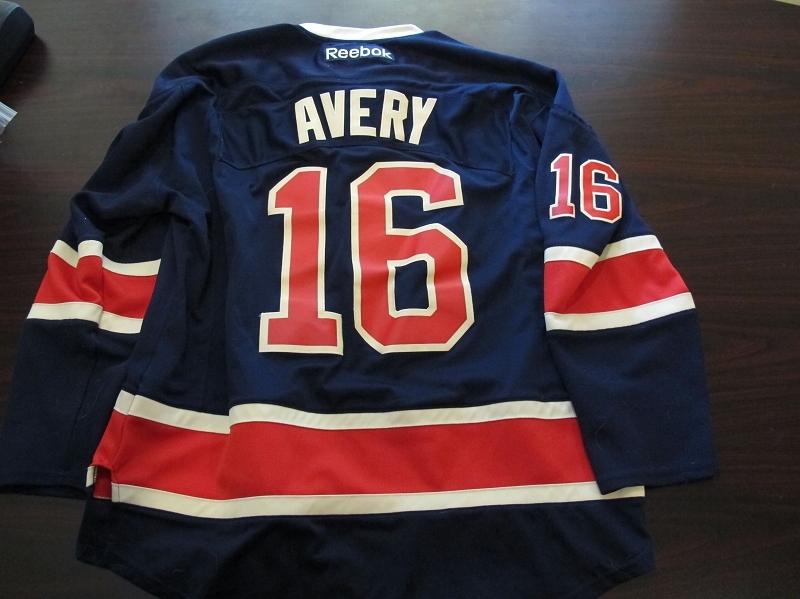 I always wanted a game used Sean Avery jersey, and my friends always bust on me over my obsession with Avery. 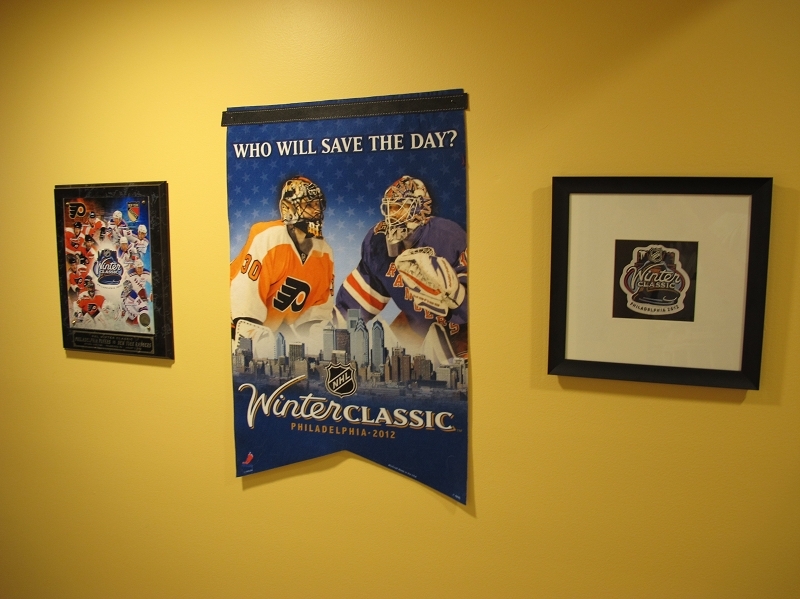 Thought it would be funny to have this hanging in the basement. Won it for $125. 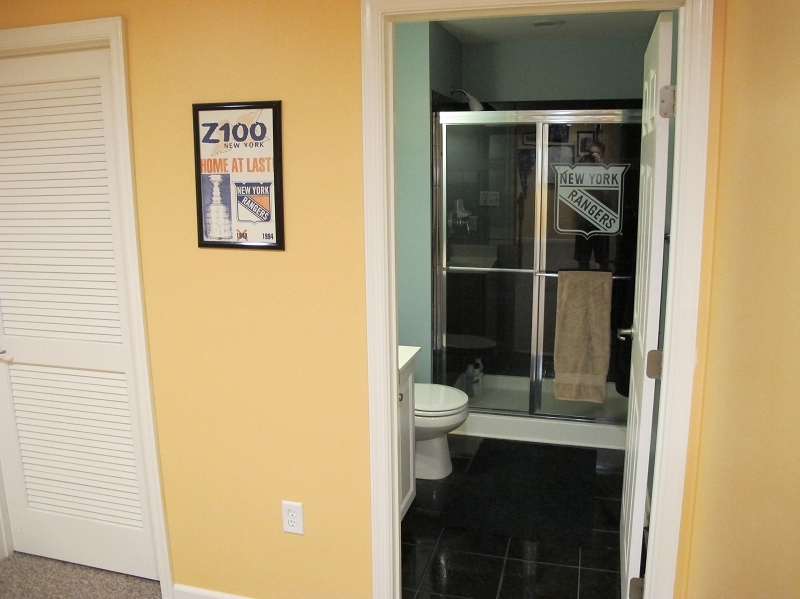 Definitely the first thing people ask about when they come in the basement for the first time. 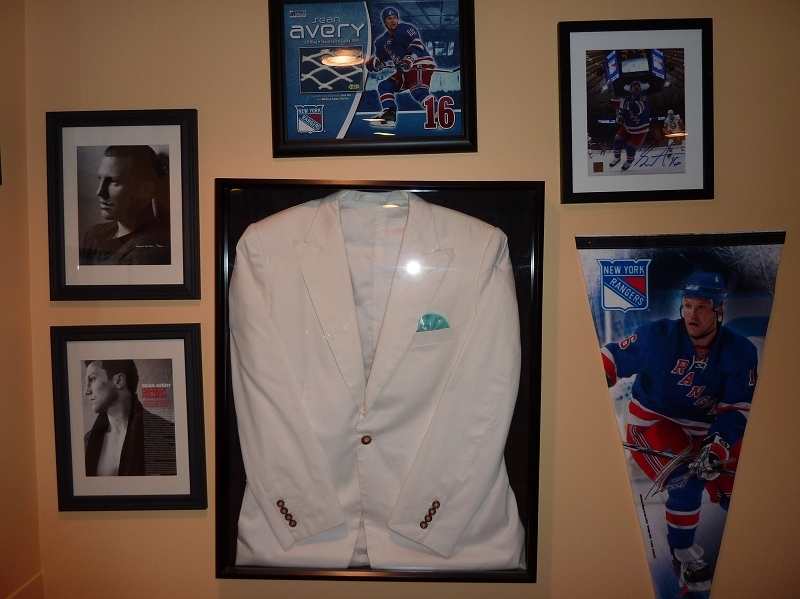 On the other wall my wife put up a framed photo of the article in Vanity Fair in which he talked about this suit and the charity. 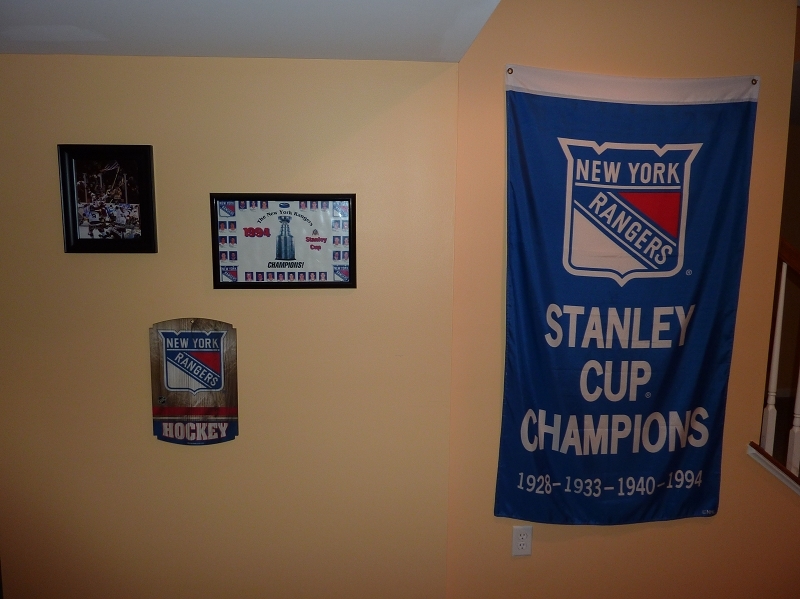 Wall with my Ranger pennants and license plates. 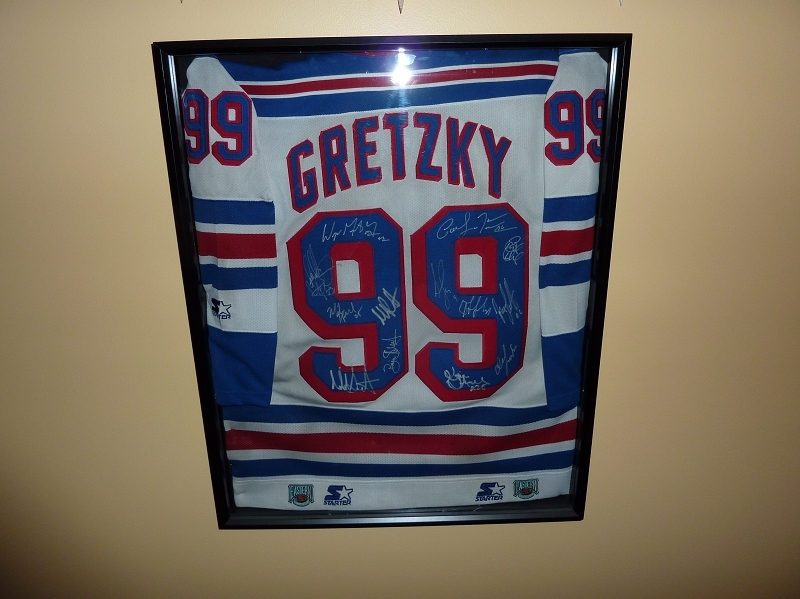 Also a signed Gretzky jersey from guys in the mid to late 90s. 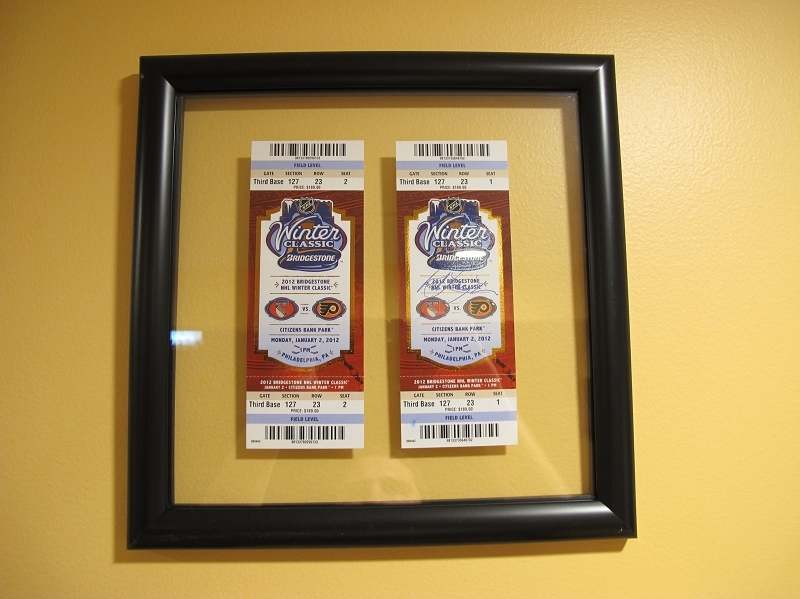 Framed our tickets from the Winter Classic. I got Rod Gilbert to sign mine just before the game started. 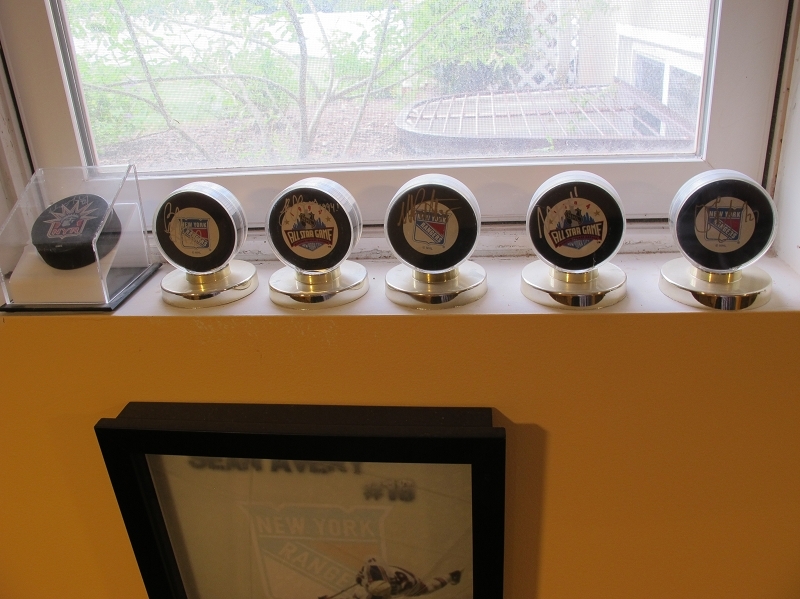 Signed pucks from Gretzky, Messier, Leetch, Graves, Richter, and Kovalev. 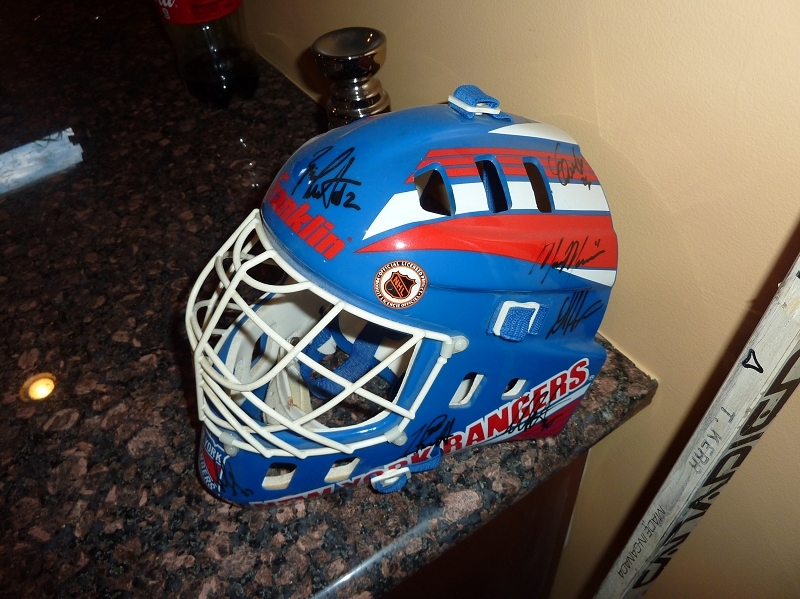 Autographed helmet from players in the mid to late 90s. 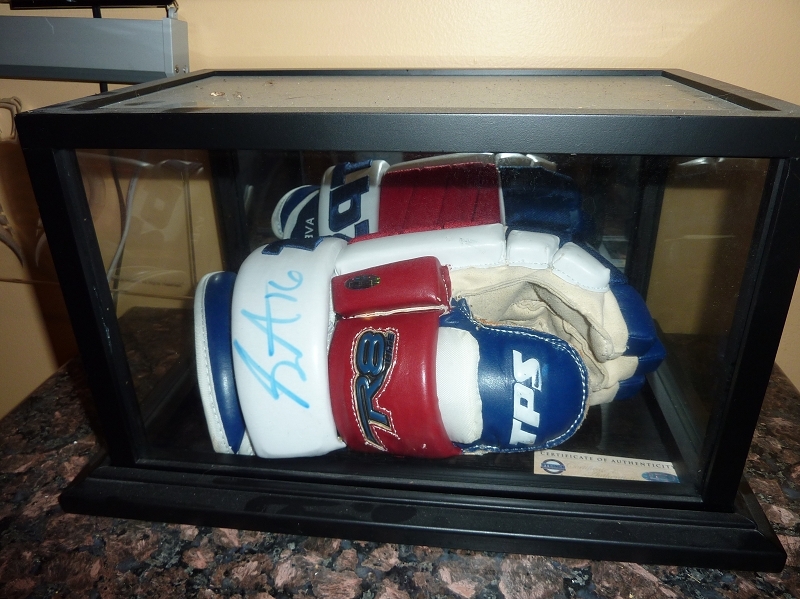 Game used Tim Kerr stick. 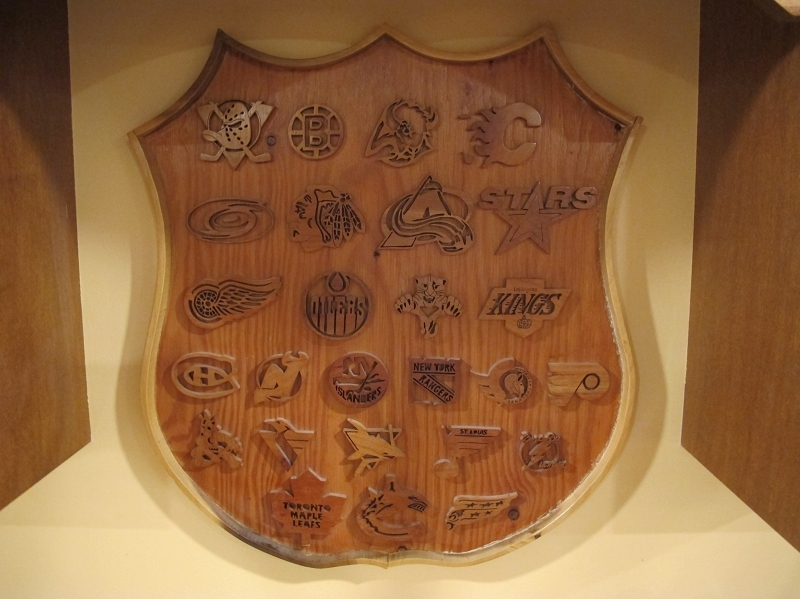 The NHL Sign I made in High School. More details on this under my Wood Working section. 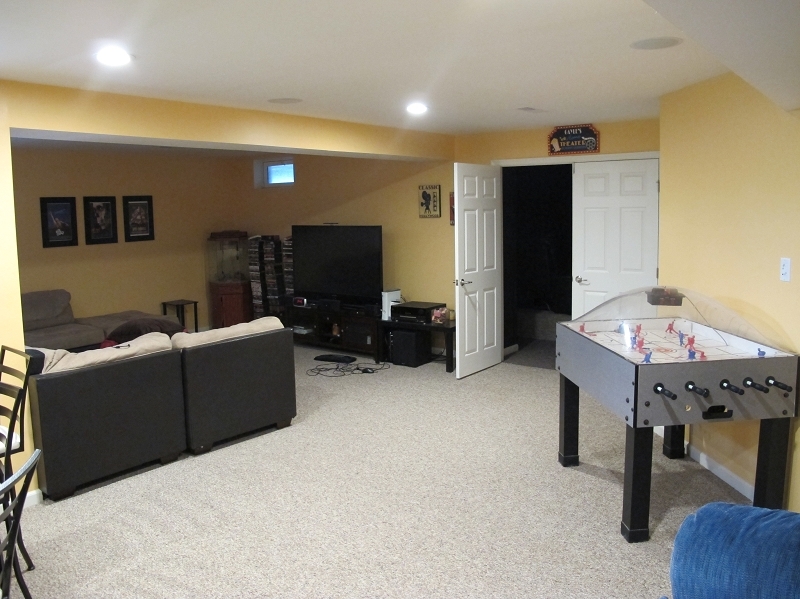 Video game area plus Bubble Hockey. 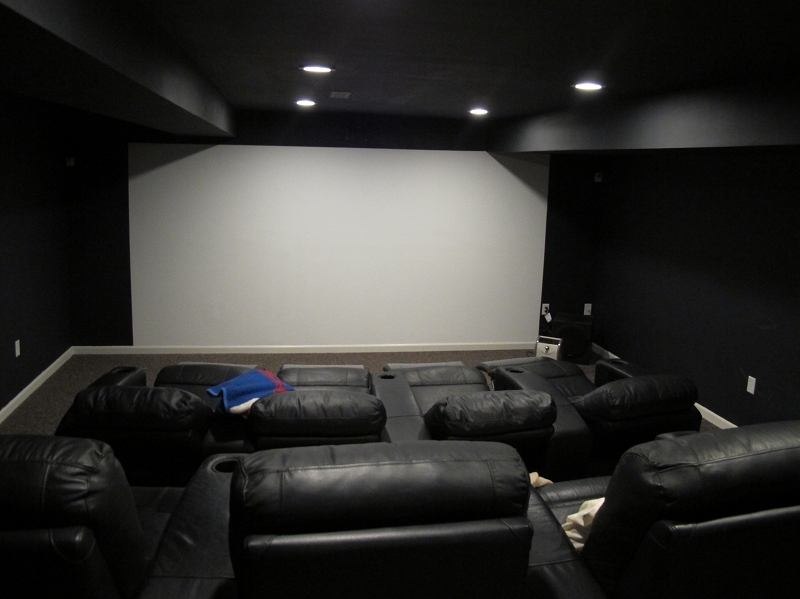 Movie/Rangers Game room! 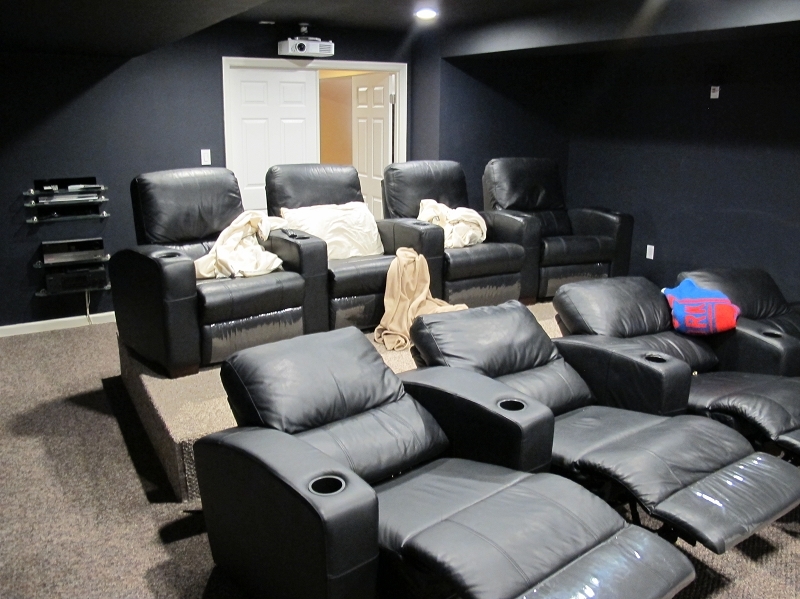 183 inches + 8 stadium seat recliners. 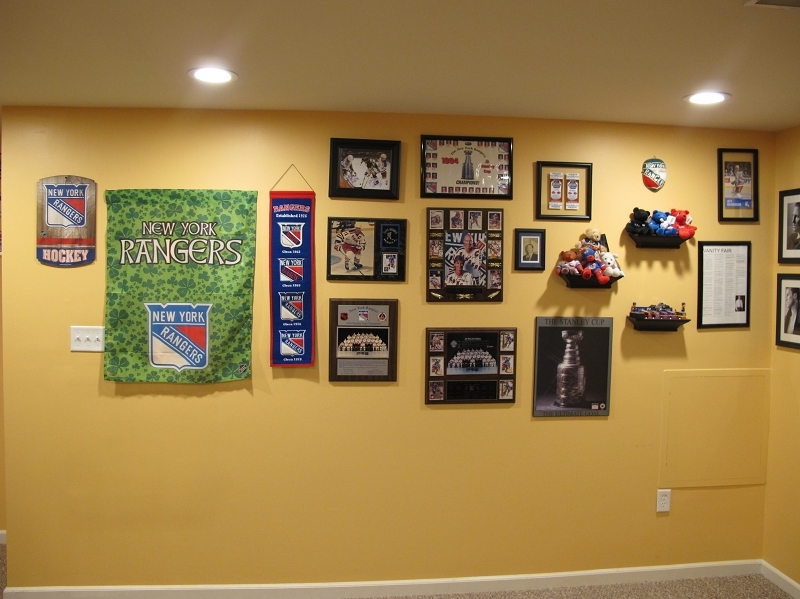 The only way to watch the Rangers! There is a red lady liberty jersey on ebay right now. Are you willing to trade or sell jerseys?